The 1971 Ibrox disaster was a crush among the crowd at an Old Firm football game, which led to 66 deaths and more than 200 injuries. It happened on 2 January 1971 in an exit stairway at Ibrox Park (now Ibrox Stadium) in Glasgow, Scotland. It was the worst British football disaster until the Hillsborough disaster in Sheffield, England, in 1989. 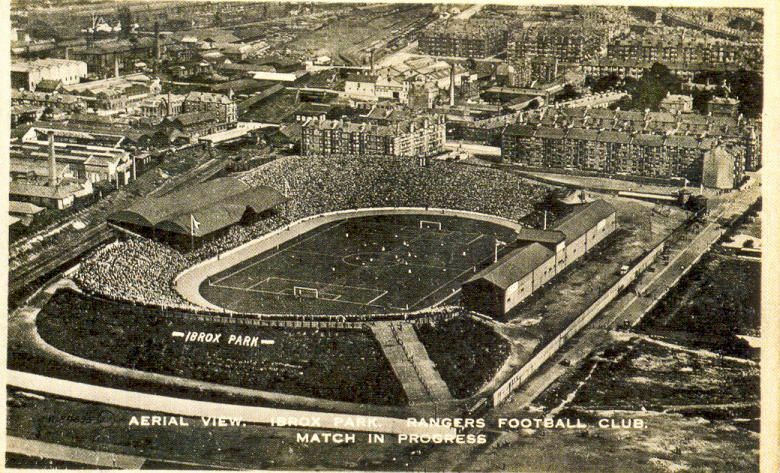 The stadium’s owners, Rangers F.C., were later ruled to be at fault in a sheriff’s judgement on one of the deaths. Rangers did not dispute this ruling, and were sued for damages in 60 other cases brought by relatives of the dead. During 1963, concerns were raised about the safety of the stairway adjacent to passageway 13 (colloquially known as Stairway 13), the exit closest to Copland Road subway station. It was documented that the stairs provided very little freedom of movement due to crowd pressure; many were lifted off their feet by the crowd and had no choice in which lane they were going to use, or at what pace. On 16 September 1961 two people were killed in a crush on the stairway, and there were two other incidents – in 1967 and 1969. In 1967, eight spectators were injured when leaving the stadium. In 1969, 26 were injured in an accident on Stairway 13 during egress. No steps were taken to consult a professional firm to discuss the potential dangers from crowds on Stairway 13 following these events. Subsequent to the 1961 accident, Rangers had by then spent a total of £150,000 on improvements to Ibrox, a very significant sum of money for the time (2.3 million pounds in 2017 money). The disaster occurred on Saturday, 2 January 1971, when 66 people were killed in a crush, as supporters tried to leave the stadium. 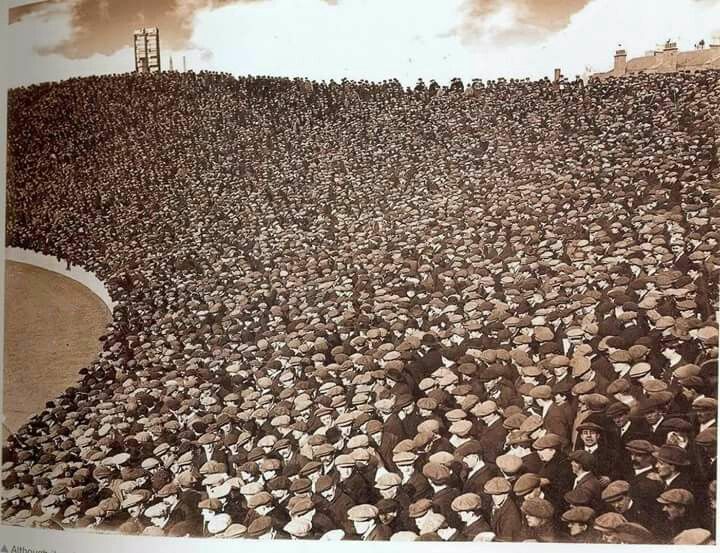 The match was an Old Firm game (Rangers v Celtic) and was attended by more than 80,000 fans. In the 90th minute, Celtic took a 1–0 lead and some Rangers supporters started to leave the stadium. However, in the final moments of the match, Colin Stein scored an equaliser for Rangers. As thousands of spectators were leaving the ground by stairway 13, it appears that someone, possibly a child being carried on his father’s shoulders, fell, causing a massive chain-reaction pile-up of people. The tragic loss included many children – five of them schoolmates from the town of Markinch in Fife. The youngest child to die was Nigel Patrick Pickup of Liverpool, age 9. Most of the deaths were caused by compressive asphyxia, with bodies being stacked up to six feet deep in the area. More than 200 other fans were injured. Initially there was speculation that some fans left the ground slightly early when Celtic scored, but then turned back when they heard the crowd cheering when Stein scored the equaliser, colliding with fans leaving the ground when the match ended. The official inquiry into the disaster indicated that there was no truth in this hypothesis, however, as all the spectators were heading in the same direction at the time of the collapse. John Greig statue in remembrance of the victims of the Ibrox disasters. The 1971 disaster led to a huge redevelopment of the Ibrox ground, spearheaded by the then-manager Willie Waddell, who visited Borussia Dortmund‘s Westfalenstadion for inspiration. After three years’ reconstruction work – three quarters of the ground being replaced by modern all-seater stands – Ibrox was converted to a 44,000-capacity stadium by 1981. Further work in the 1990s increased the stadium capacity to 50,000, and Ibrox was subsequently awarded UEFA five-star status. For some years after the 1971 disaster there was only a small plaque at the corner of the ground where it happened. However, in 1995 Rangers announced plans to commemorate the 66 fans killed in the 1971 disaster. On 2 January 2001, the thirtieth anniversary of the tragedy, a larger monument was unveiled at the corner of the Bill Struth Main Stand and the Copland Road Stand. The monument contains blue plaques displaying the names of each person killed in all three incidents. A statue of John Greig, the Rangers captain at the time of the 1971 disaster, stands atop the monument. Sheriff James Irvine Smith, in his damages statement, ruled: “The said accident was due to the fault and negligence of the defenders, Rangers F.C.”. Smith found Rangers F.C. guilty on four counts in the case of the death of Charles Dougan, a 31-year-old boilermaker from Clydebank who died, as did 56 others, from traumatic asphyxia. So far as the evidence is concerned, the Board never so much as considered that it ought to apply its mind to the question of safety on that particular stairway […] and would appear – I put it no higher – to have proceeded on the view that if the problem was ignored long enough it would eventually go away […] Indeed it goes further than this because certain of their actions can only be interpreted as a deliberate and apparently successful attempt to deceive others that they were doing something, when in fact they were doing nothing. A more detailed report can be found on the evidence heard and the veracity of Rangers F.C. witnesses in a December 1974 edition of Foul – The Alternative Football Paper. Outside Ibrox Stadium today a group gathered beneath the shadows of the looming stand in silence. Some within it carried wreaths and flowers, others gripped their scarves as prayers were read. The year always starts the same way in Govan. With a quiet and simple act of remembrance, remembering the 66 fans who lost their lives in one of the most terrible tragedies in the history of British football. Even though Ibrox Stadium has changed dramatically since January 2 1971, any football fan who has ever attended a Glasgow derby can imagine the events of that day, the closing moments of the game and the aftermath which led to 66 deaths and over 200 being injured in Stairwell 13. Celtic, the away side, took the lead through Jimmy Johnstone in the 90th minute of the game, leaving Rangers with virtually no chance of scoring a leveller. Somehow they managed it, with Colin Stein levelling seconds later. The Rangers’ ends, who had thought they were beaten, celebrated wildly and, when the final whistle sounded, began to file out many heading to the exit which was closest to Copland Road Subway.